Fight Night, a new one-man play written by Gavin Kostick and produced by Rise Productions is currently on an 18-venue tour of Ireland. The play’s star Aonghus Òg McAnally talks to Barry Houlihan and writing.ie on how Fight Night came to be, on shaping new work in Ireland and how for Dan Coyle Jnr, he faces the fight of his life. What outlines someone as a boxer is much more than physical strength. As any follower of the sport will tell you, it is brains over brawn that counts. The cagier fighter will come out on top. Boxing is a solo sport, no one else to rely on in the ring, no one to back you up against the tide of force coming your way. On arriving at Galway’s Town Hall Theatre Aonghus Òg McAnally talks with Barry Houlihan and writing.ie about the last year in the life of Dan Coyle Jnr and Fight Night. For those who may have missed it, this post was published on writing.ie last week in the run up to the ‘Revolutionary Texts’ series of readings and discussion at the Absolut Fringe Festival. As part of this year’s Absolut Dublin Fringe Festival, a particular series of events is looking at plays that struck a chord with the political and social systems of their times. 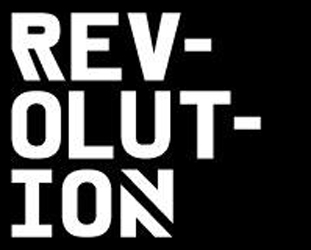 The “Revolutionary Texts” series will feature readings of a series of Irish plays from the late 1980’s and 1990’s that are political and directly socially reflective in nature and which today are capable of provoking as much debate as they did when they received their first production. The programming in the Absolut Fringe programme is right on the nerve of current trends of social discussion and investigation. This is, after all, now the Ireland where economists are the new house-hold names, top-of-the-bill speakers and best-selling authors. Morgan Kelly drew a sell-out crowd at the Kilkenny Arts Festival and Fintan O’Toole spoke to a packed and hushed Town Hall Theatre in Galway in November last year. 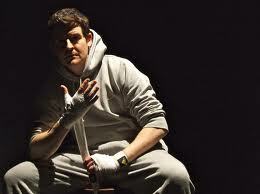 David McWilliams toured his Outsiders from the Abbey Theatre to various theatres around the country. For the rest of this article see the ‘Centre Stage’ section of writing.ie here. Forget shoe-string budgets! They were of a time when a discount here or a free event there were token gestures to attract a few souls to something that was often, lets face it, free for a ‘reason’. This reason being that ‘free’ sometimes meant ‘no good’. But now, shoe-string budgets for savvy savers are out and no-string budgets are in. If people and I include myself in this, are not able to shell out 30 euro on a theatre ticket, a minimum of 50 euro for a music gig at our ‘premier’ music venues or a month’s rent for a camping festival then no-string budgets are for you! And now there really are quality arts, music and cultural events for you to drop into and enjoy gratis. The summer has seen regional and national festival after festival entertain the masses with exceptional success. From Galway to Kilkenny, Bundoran to Listowel and everywhere in between, Irish towns and cities have put on quite a show. As focus now switches back to the capital for the coming months, the pressure is on to deliver. The Absolut Fringe and Ulster Bank Theatre Festival are but two headiners to offer a wide variety of free and importantly, quality events. The Fringe holds a particular place in the heart of so many theatre and performance goers. It has the essence of engagement and involvement in its soul and offers so much at no cost to the public. To see the full programme of ticketed and free events in the Fringe see here. One of the free highlights kicks off the Fringe itself with Macnas hitting Dublin for the first time in twelve years with what promises to be a spectacular event at Collins Barracks. Described as a ‘fantastical night-time reverie’, The Wild Hunt and the Sleepwalker – A Nocturnal Ballad’ will captivate audiences of all ages. The Liffey provides a floating stage as Irish contemporary artist Fergal McCarthy’s ‘Liffeytown’ mirrors the less than solid foundation of Ireland’s building boom. The Dead Zoo at Ireland’s Natural History Museum breaks from its home and roams in Merrion Square park. A great show for audiences of young and old, its large scale production should prove a winner. On Dame Lane and Sycamore Street car lot (near the Gaiety School of Acting) keep an eye out for ‘Laneway’ and ‘The Bridal Solution’ respectively. These site specific works take the Fringe to its spiritual home of the Dublin’s streets and are just waiting for an audience to come and find them. Also waiting for you is, well, ‘Anybody Waitin’?’ Think life is passing you by as you constantly find yourself in a queue or waiting for someone or to get to some place. Ponydance company are waiting for you at 15 locations around Dublin to explore what it is exactly we are always waiting for, why we wait and what do we actually expect to get. Life is too short to let it pass you by so get out on the streets, get to the Fringe and experience it for Free! The Ulster Bank Dublin Theatre Festival, often seen as the Fringe’s big brother or more serious uncle, also has much to offer those for whom the box-office is not their friend. Numerous special events catch the eye for their content and production and not just their pocket-friendly price-tag. Check out the DTF programme in full here. ‘In Development’ includes a series of work-in-progress’ pieces from some of Ireland’s leading companies. Fishamble presents ‘Silent’ directed by Jim Culleton. Brokentalkers present ‘The Blue Boy’ directed by Feidlim Cannon and Gary Keegan. Richard Wakely presents ‘The Ministry of Deliverence’ written and directed by Conall Morrison (this should be particularly worth catching) and Corn Exchange present ‘Man of Valour’, developed by Michael West, Annie Ryan and Paul Reid. If you fancy getting your voice and two-cents out there head along to the panel discussions being held at the Gaiety and Project Arts Centre. Topics range from environmental and economic recovery, a New World Order in development and of real interest, the increasing emphasis on the role, presence and input of an audience into a production. ‘Drama in the Air’, ‘Yellow’, ‘The Wonderful World of Hugh Hughes’ respectively open up the New Theatre, St Mary’s Abbey (off Capal Street) and the Studio theatre in Smock Alley for extraordinary free works that include Thomas Kilroy, Olwen Foure, Deirdre Roycroft and a cast of many others. Just think what you would normally pay to see and hear works by these greats?! Forget what is or isn’t in your wallet. These are great opportunities to get out and about, get involved and to see great theatre, great works and all for free. Get out your map, your diary and pen and set course for as many of these events as you can. O, and that’s before you even look at the programme for Culture Night, Heritage Week or Archives Awareness 2010! . . . . It’s going to be a busy few weeks!